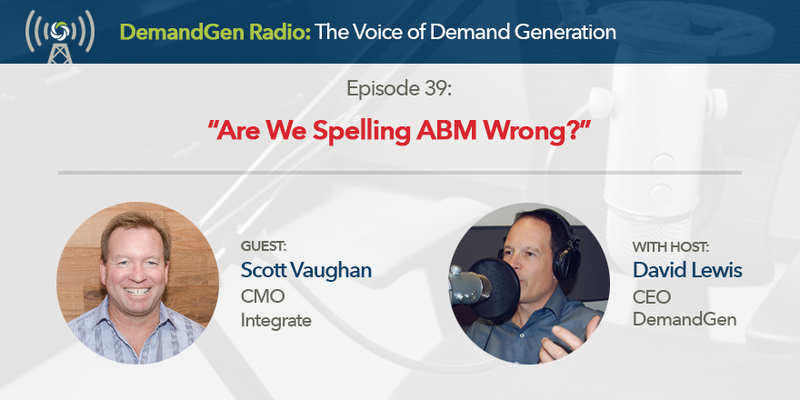 Content master and digital marketing guru Scott Vaughan joins David Lewis to kick off this episode of DemandGen Radio with Scott’s point of view around dropping the “M” in ABM. Their next stop on the podcast train is talking about the importance of becoming a full-stack marketer, and then on to some great insights for you from Scott on content marketing strategy, including long form vs short form content. The two wrap up the episode with a very passionate call to action around starting a movement on “Marketing becoming the breadwinners of the revenue family”.